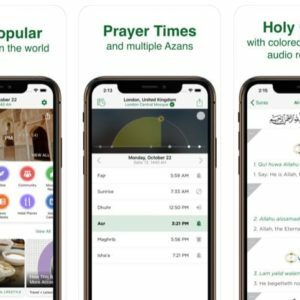 BITSMEDIA Pte Ltd, the Singapore-based company behind the world’s most popular lifestyle application (app) for Muslims — Muslim Pro — is on a roll. It just expanded its operations to Malaysia, the first stop of its regional expansion plan. Things have been moving at a fast pace ever since two private equity (PE) firms — Malaysia’s Bintang Capital Partners (BCP) and Singapore’s CMIA Capital Partners — jointly acquired a controlling stake in Bitsmedia in July last year. BCP is the PE arm of Affin Hwang Asset Management Bhd. 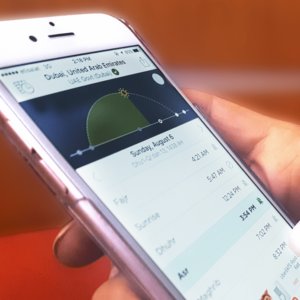 The transaction marked the first buyout in the world of an Islamic app by a PE firm. “It was our maiden deal, When we bought Bitsmedia, it was really to buy Muslim Pro,” Johan Rozali-Wathooth, executive director and managing partner of BCP, tells The Edge, elaborating on the transaction for the first time to the media. Barely eight months later, in March, the Malaysian subsidiary, Muslim Pro Technologies Sdn Bhd, was set up. 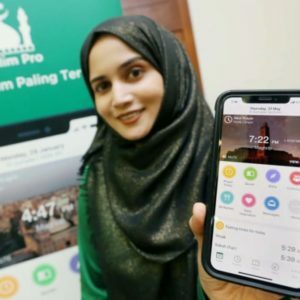 The growth potential for the app is tremendous considering there are some 1.7 billion Muslims worldwide, says Nik Emir Din, country manager for the Malaysian operations. With 55 million downloads worldwide currently, Muslim Pro is used by Muslims in over 200 countries. 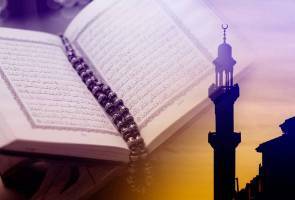 It offers, particularly for travellers, useful features such as accurate prayer times, Qiblat directions, lists of halal restaurants and mosques, as well as various translations and recitals of the Quran. 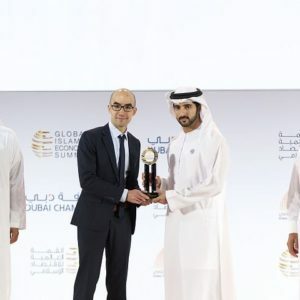 “What is interesting about this market — and I think many people don’t realise this — is that when you talk about the Muslim population, you tend to think of them as very traditional, wanting to practise their daily religious duties and all that. But what a lot of people are not picking up on is how quickly the community is adapting to a modern lifestyle, to technology. So, there is this whole niche market. This is the market that we are trying to tap, which is really the growing Islamic consumer lifestyle market,” Nik says at the joint interview with Johan. The Islamic consumer lifestyle market is still a “sleepy” market but it holds much potential, he says. “If you think about Muslim Pro, it did not have a team in any of the other countries and in a matter of a few years, it hit over 50 million downloads. This shows you the power of the market and the fact that people are really requiring modern tools to help them with their lifestyle,” Nik, who previously worked at Khazanah Nasional Bhd and a banking group, says. Expanding into Malaysia made perfect sense as the country accounts for about a tenth of its overall user base. “It’s quite sizeable. If you look at it, we still have over 20 million Muslims here and growing, so it is definitely a market we can grow in,” he adds. According to Johan, there are no plans to introduce other apps, with the focus being entirely on Muslim Pro for the duration of the PE investment. There are many more features and products to be introduced within the app, with the idea being to grow scale first before potentially embarking on more ambitious plans, he says. “There is still so much we can do … we have barely scratched the surface. At the moment, we have 12 million monthly active users, conservatively. We are looking at a seven-to-eightfold uplift in the user base before we have the kind of scale for us to consider things like an online marketplace,” he shares. While there are other similar rival apps, Muslim Pro stands out as being the one with the most global reach. “Most of our rivals are very localised … so we think that is what sets us apart,” says Nik. In Malaysia, the standard pricing for the app, which can be downloaded on Apple’s App Store and the Google Play store, is RM3.90 a month, or a yearly rate of RM19.90. There is also a lifetime version, which costs RM114.90. It is actively seeking partnerships with local corporates and government agencies that can leverage the app’s strong user base, Nik says. So far, it has struck partnerships with two major household names, namely Malaysia Airlines and Celcom. Indonesia, the world’s most populous Muslim nation, is high on its list of countries to expand into next. What is interesting about Bitsmedia is that, unlike other tech start-ups, it has been profitable right from its first year of operations. 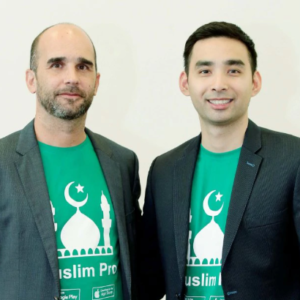 The founder and developer of the Muslim Pro app, Erwan Mace — a French national who lives in Singapore and is a former key member of the Google team in Southeast Asia — set up the company in 2010. Mace remains a minority shareholder in Bitsmedia. Johan declines to go into the specifics of Bitsmedia’s shareholding, saying only that Mace can potentially take his ownership up to 15% of the company, with the remainder shared between BCP and CMIA. BCP holds a slightly larger share than CMIA, he says. He also declines to disclose the value of the buyout deal, citing commercial sensitivities. It is understood to be an eight-digit figure in US dollars, based on a media report last year citing Mace. Up to 95% of Bitsmedia’s revenue is through advertising on the Muslim Pro app, a business model Johan believes is sustainable. Bitsmedia grew better-than-expected last year, he says. Its earnings before interest, taxes, depreciation and amortisation (Ebitda) last year stood in the “single-digit million US dollars”, Johan says. Ebitda grew 20% more than originally expected, despite tough targets, he reveals. It is no surprise then that, in less than a year since the PE firms took control of Bitsmedia, they have already received three unsolicited offers to acquire the business and one approach by a bank to potentially provide financing for the business. All were turned down, for now. “When we looked at Bitsmedia in the beginning, the first thing that struck us was the fact that Mace had never taken external funding for this business. It was completely bootstrapped from Day One. And No 2, that the business actually generates very strong cash flow and is profitable, unlike a lot of start-ups that were basically bottomless pits for money,” he says. “Muslim Pro generates cash flow on its own … so they didn’t really need capital from us to expand. One of the important hallmarks of this transaction for us is that we did it as a buyout … we acquired vendor shares, we didn’t inject new capital into the business. And thus far, the business has not needed any additional capital from us to grow. It is still completely 100% bootstrapped,” he adds. He says the company will look into obtaining financing, if needed, for its growth only much later. On exit plans, he says the ideal investment horizon for both the PE firms is three years, with an option to extend for a further year. This could be extended if market conditions are not conducive for an exit. He says they will be open to all exit opportunities, including an initial public offering. This article was originally published by Adeline Paul Raj on theedgemarkets.com. This article first appeared in The Edge Malaysia Weekly, on June 11, 2018 – June 17, 2018.